Quest has decades of experience in the floating energy business. Twenty-years of expertise in data analytics, analysis and the development of offshore floating projects provides us with the means and the network to offer critical insight on the FWE industry going forward. Q FWE has created a dedicated FWE projects’ database, monitoring projects and their supply chain from early planning to commissioning and O&M. This dynamic tool provides a continuous feed of strategic insight, tactical information and robust data analytics throughout each stage of the supply chain. 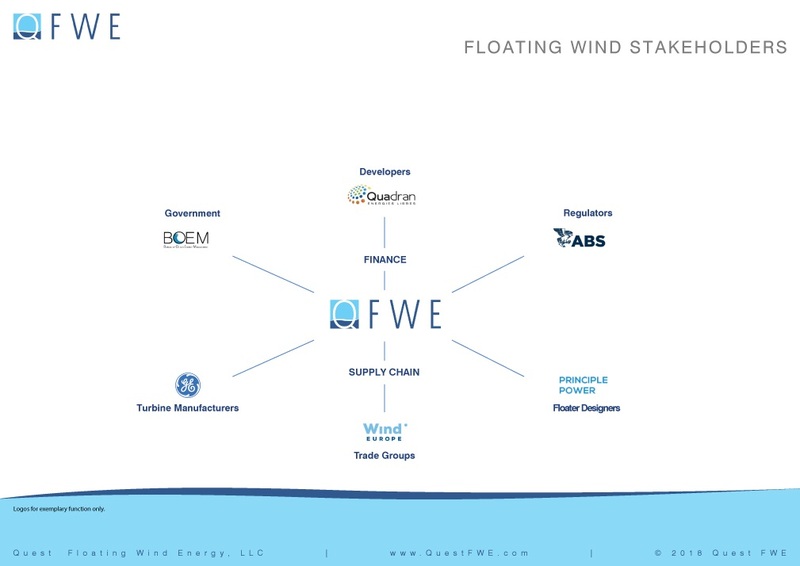 Uniting, educating and expanding the global offshore floating wind industry and providing strategic insight, information and analytics throughout each stage of the supply chain. Deliver strategic insight, economic and financial analysis. Provide world-class “deep data” to drive data analytics which informs better decision making. Develop the case for accelerating public and private investment in Floating Wind Energy. Support wind energy policy and government support in partnership with private industry. Enhance global connectivity between public, private, academic and individual stakeholders. Drive innovation in design and usage of applied technologies. Serve as an active industry participant in the Floating Wind Energy industry. 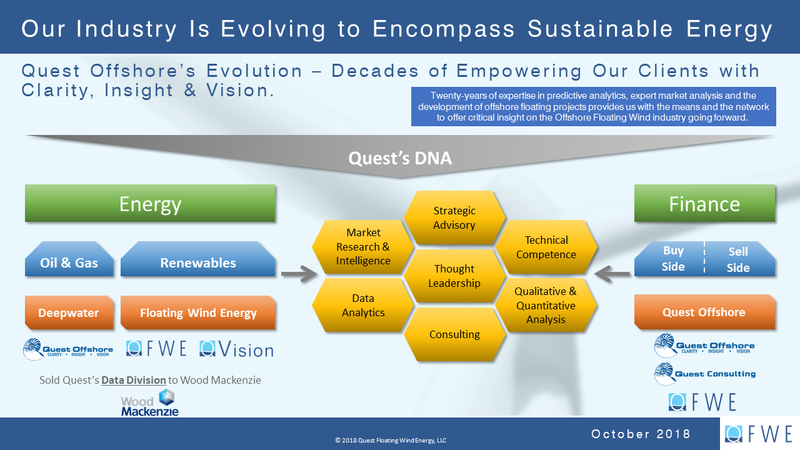 Quest Floating Wind Energy, LLC.